Whether you're looking to relocate from another city, state, or country, few things are as important as the place that you'll call home. One of the most daunting aspects of the homebuying process of moving into an unfamiliar city is knowing where the best places are for your lifestyle and needs. Home seekers will enjoy the many different neighborhoods to choose from here, as well as the variety of houses, condos and townhomes available. 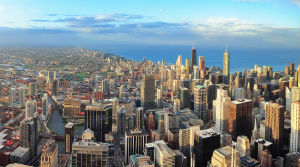 Chicago is filled with some of the most sophisticated, upscale properties in the country. From new-age lofts to sprawling estates and ultra-modern to classic contemporary, there's something for every discerning taste in these listings of homes for sale. Browse through the communities below to start your home search! 16,518 Properties Found. Page 1 of 1,377.